No matter what septic problem you are facing, get it fixed by the emergency septic repair team at VAC-TEC LLC. We are a well-established, reputable septic company offering 24/7 emergency septic repair services in Hobart, WA. Call us the moment you notice something wrong with your septic system and relax, knowing that our skilled technician will be with you in no time to get the system back to normal. Our emergency septic repair experts can resolve all kinds of septic system issues. In fact, they not only know how to make accurate repairs but can also detect septic tank location on your property if you are unaware of it. We assure you of quick, minimally-invasive and seamless emergency septic repair services in Hobart. We also cater to urgent needs for septic tank pumping. 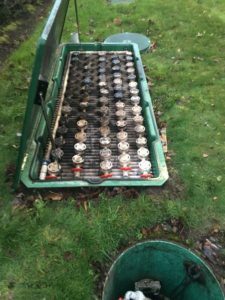 Generally, you will have to call in professionals for emergency septic pumping & cleaning only when you do not get the tank pumped-out on a regular basis. 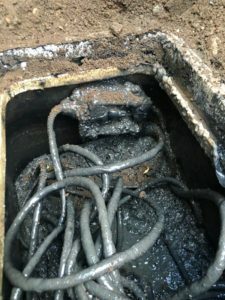 If the sludge accumulated in septic tank is not removed at scheduled intervals (generally 3-5 years), you are likely to be surprised one day with sewage backup into your property. We can work on all types of septic systems and clean out tanks of all sizes. Call us today to get a free estimate for the emergency septic tank cleaning pumping & services you need. Dial (206) 339-0039 to call VAC-TEC LLC. for emergency septic repair or emergency septic pumping & cleaning services in Hobart.